Square Coin Capsules come in sizes ranging from 14mm (internal useable space) for small coins up to 58mm for large items like collectible medals. 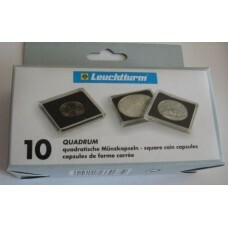 These square coin holders are inert and safe for long term storage. 2-piece snap together design that sandwiches the coin inside. Foam insert included to with hole to fit and center coin in holder. 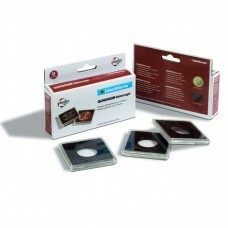 Square coin capsule outer shells are clear on both front and back and scratch resistant. With over 40 sizes to pick from, we have a capsule that will work for almost any coin ever produced.